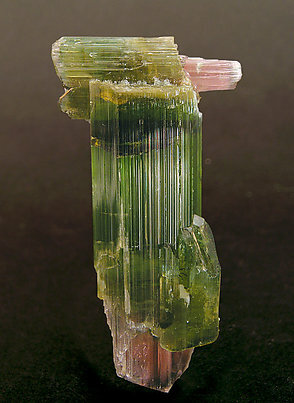 In the form of a scepter with a pleasant mix of color, so this is an Elbaite with class. The color is gentle and also intense, especially given the luminous green, which is difficult to describe. A classic beauty. This one takes the first prize in originality. 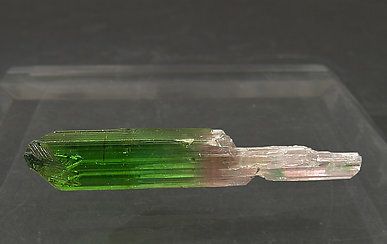 Not only is the main crystal gemmy, in its upper region there is another scepter crystal that crosses the first. All of them are doubly terminated, undamaged and floaters. The best of this unique find.